We are building artificial intelligence tools for cryptocurrency and just last month launched our site called Coining.AI to share our tools. To promote our site and tools, we shared in Facebook groups, wrote Medium articles (where our first article was invited to be added to the Hackernoon publication, and we are now writers there and submit articles directly), posted on Reddit (without much luck) and Twitter. Our website had a lot of issues at launch, and while we still do have issues, we received positive responses from users because of the unique and appropriate ways we presented the data. We first presented the coins with normalized price, which assumes all coins have the same supply and helps to understand the actual price we are paying for a coin. Then, we ranked the coins based on the combination of market cap, trading volume and normalized price, giving more appropriate coin rankings. For our next feature, we presented good buy list and good alt coin list (less than $1 alt coins), based on the combination of trading volume (higher being better) and normalized price (lower being better). We then introduced Social Ranking, combining realtime YouTube / Twitter / News buzz, active Reddit users and exchange adoption. And most recently, we created a coin detail page that offers details for specific coins, as well as top YouTube videos, Reddit posts, and official Twitter accounts for a good sense of the latest developments and news. 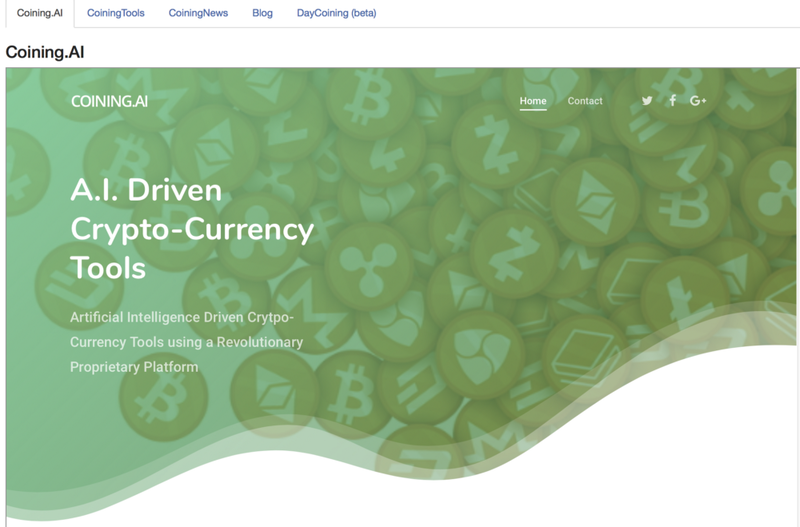 We also created a similar page for cryptocurrencies in general with regular updates for cryptocurrency news. All of these features have resonated with people from all over the world. People who visit our site on a regular basis come from very diverse places, which shows how much interest crypto is attracting from people all over the world. As a startup, it is really exciting (really exciting!) to see people from almost every country in the world visiting our site. Then we noticed something strange! Almost ~60% of our users fall into the 25–34 age group, and 0.57% in the 65+ bracket — my dad, one of our daily active user, is somewhere there in 65+ group :). This is surprising, but not completely unexpected. The unexpected part, however, is this information: 95%+ of our users from all of these countries are male, according to Google Analytics data from the ~56% of total users they have information on. Google analytics could be wrong or we might be reading it wrong. We are just trying to understand and learn more about this statistic. Either the 44% of users Google couldn’t identify has a very different demography, or the channels on which we have shared our work so far (Facebook group, Hackernoon, and tweets shared by Medium articles) are just male dominant, which could be the case, but seems highly unlikely. Or perhaps, the way we posted the articles could have seemed like spam posts to girls, and thus they ignored them. Or is it possible that girls are just not into crypto? Now that I am thinking of it, I haven’t seen any girl crypto influencers on YouTuber either! We genuinely want to understand this problem. If it is us, we want to find out how we can fix it. We are very interested in learning if other platforms and sites notice similar numbers to this, so please share your stats too with the hashtag #DemographyStats. If the stats are similar, then this is something we all need to discuss and find out what we are doing wrong and why we aren’t attracting girls into the crypto space. Crypto trading is very risky and so is stock trading, through to a lesser degree. It would be interesting to see the stats for stock trading platforms too. To female readers, either crypto has been unwelcoming or our site has been unwelcoming. Either way, what can we do to make our resources and tools more accessible to you? We are always listening in our social media.